Do you wanna know which news are emerging from the lagoon? Do you wanna be a part of it? 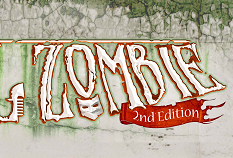 Join the newsletter of Carnival Zombie 2.0 and spread the voice! Due to technical problems, some of the subscriptions to the newsletter done between October 7th and 9th haven't been recorded correctly. We apologize and kindly ask everyone who hasn't yet received an email from our webmaster to register again. 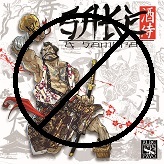 Sending a great THANK YOU to all the gamers and resellers that trusted us, we announce that SAKE & Samurai has gone sold out for online purchase. However you can still find some boxes in your local shops or contacting our distributors. But don't forget BEER & Vickings, the "northern" brother of SAKE & Samurai! July 18th, 2014 - The White Peacock is a Social animal! Many of you may already know it but Albe Pavo is also on Facebook and Twitter. If you speak a little Italian you can follow us there for even more news!